I love Greek food actually. I make my own tzatziki sauce. It makes a great topping or dressing. These are some of my face as well. 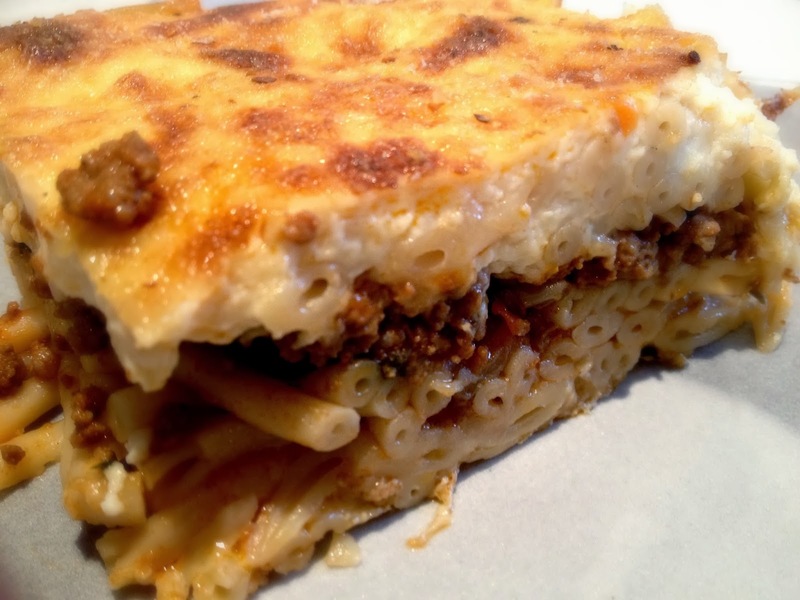 I love Greek food, and this post has inspired me to grab something special this weekend. We have a small, family-owned Greek restaurant near our neighborhood, and their food reminds me of my undergraduate summer in Greece. I have never had Greek food until a few years when my friend introduced me to it. I have since fallen in love with it. They all look amazing! 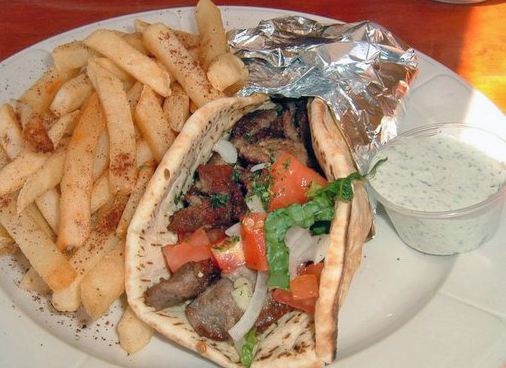 I have only had gyro’s, I need to broaden my Greek food tries! 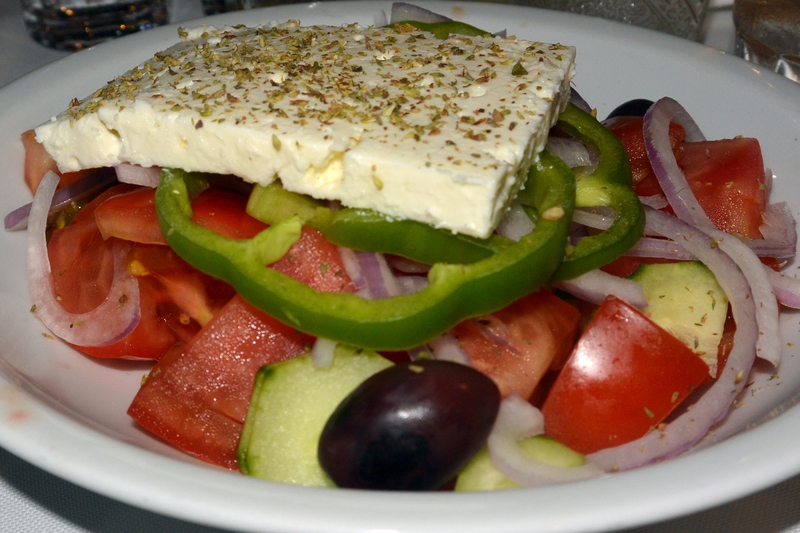 Greek food is some of the best food out there! I love doing tapas for foods like this so you can try everything. These all look good. Many of them I’ve tried. I grew up eating lots of Greek food. Gyros are so good. 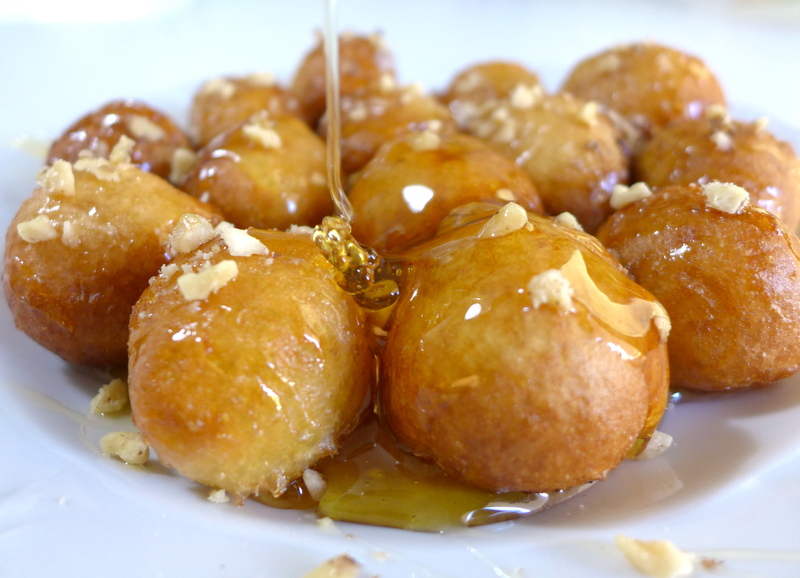 I have not tried anything other than those as far as Greek food goes. All of these dishes look amazing! I bet the feta with sesame seeds would be so good and I could eat all of the desserts. I am not a huge fan of Greek food. 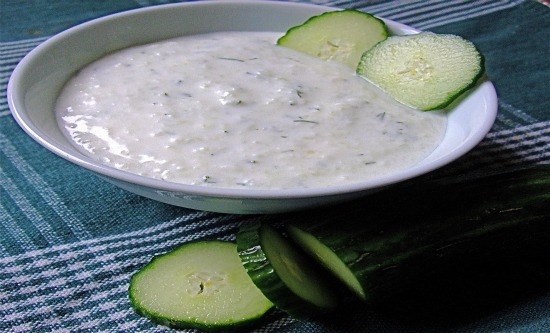 However I do love the dip Tzatziki, and I have used it to dip fries, fried pickles along with peppers and anything else! These dishes do look yummy, maybe I will give Greek food another go. Give it a try, I think you’ll be surprised! I would definitely try the Dolmadakia! They look like cabbage rolls sort of. My mouth is watering, I can honestly say that I would love to try every single one of these!! Tzatziki being my favorite! 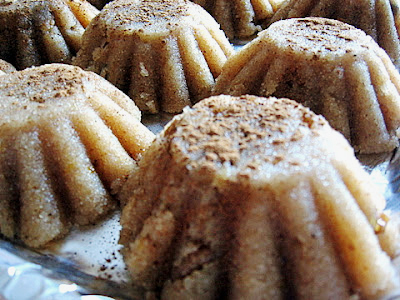 My goodness, these are looking so yummy & delicious. 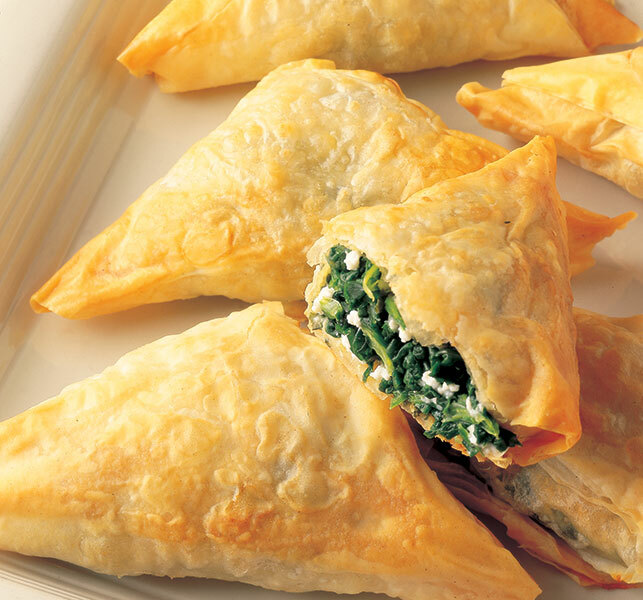 Galaktoboureko & Fried feta are my favorites which I would want to eat right away. Dolmadakia is absolutely different & I would love to try this one too. 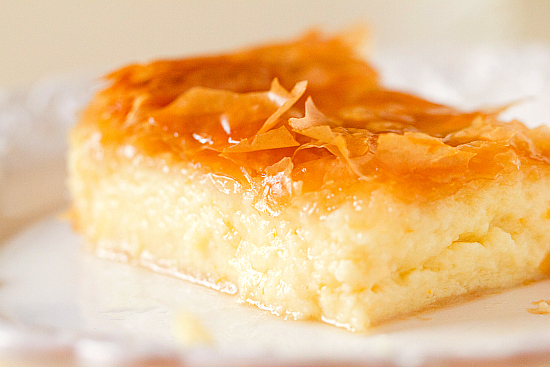 I don’t care for Greek food but I LOVE the desserts! So yummy! I love Greek and Mediterranean inspired foods. So yummmmmm. 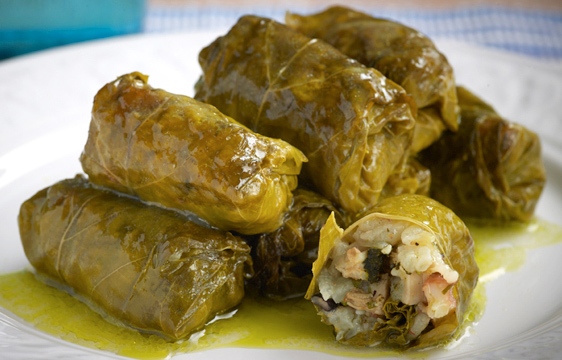 We’ve made our own stuffed grape leaves a few times. It’s one of my favorite things. That fried feta looks absolutely fantastic! And I’m a huge sesame fan, too. You can’t beat that sweet/salty combination. I love Greek food. Greek rice is one of my favorites. 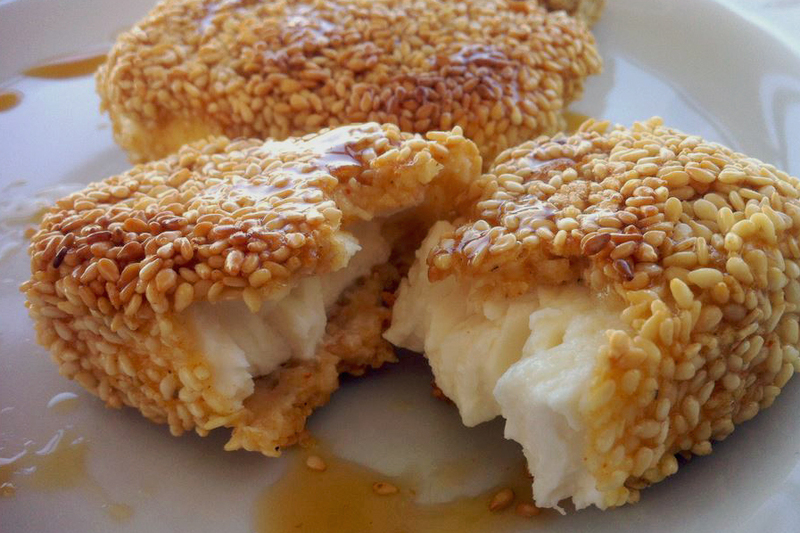 I will have to try the Fried Feta with Honey and Sesame Seeds. It looks amazing. This all looks so good. I haven’t had many Greek dishes.